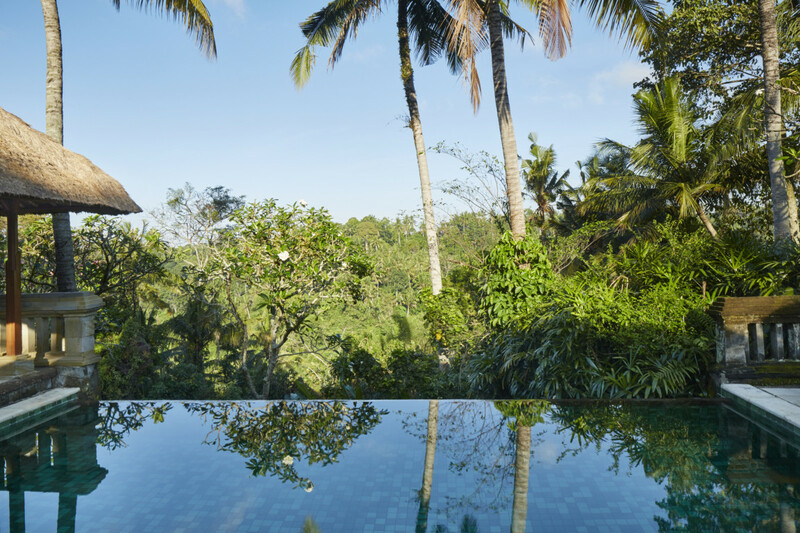 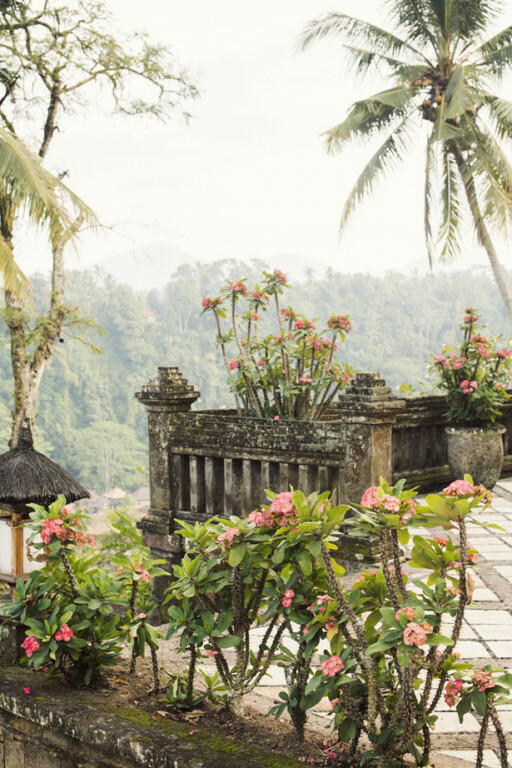 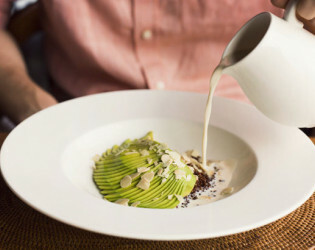 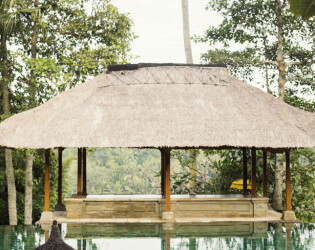 Designed as a Balinese village in the heart of unique Ubud, this off-the-beaten path luxe locale is a truly special place to celebrate. Set amid a city of artisans, absorb the infectious creative energy that runs like an electric undercurrent through Ubud, yet peacefully plunge in the perfect pool overlooking the world-famous rice paddies as you and your pals revel in the radiance that is this respite from real life. 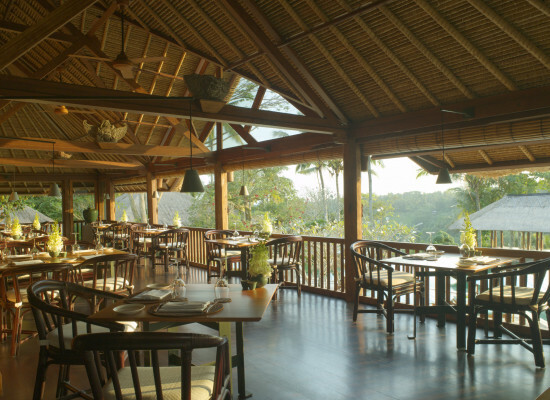 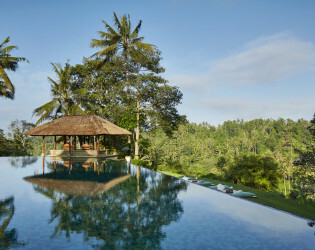 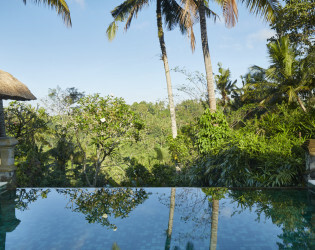 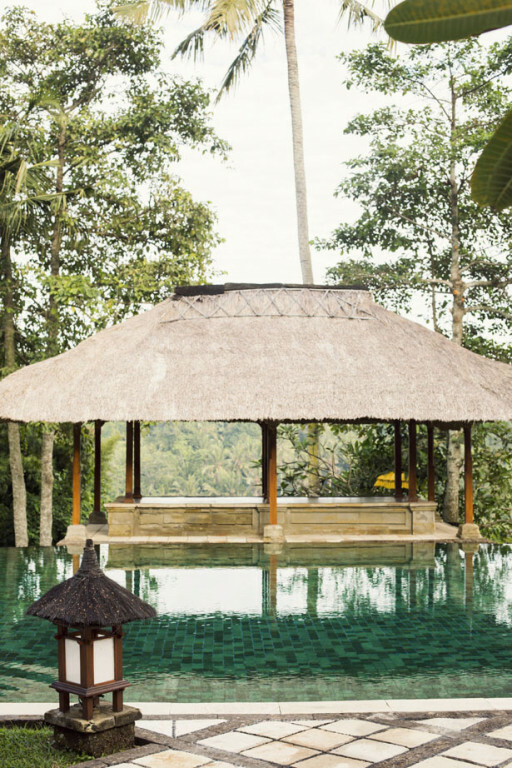 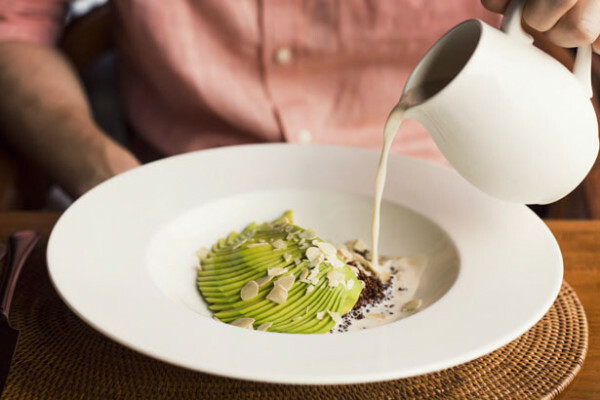 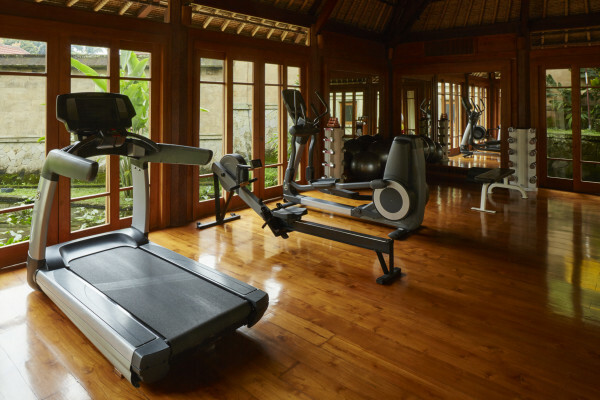 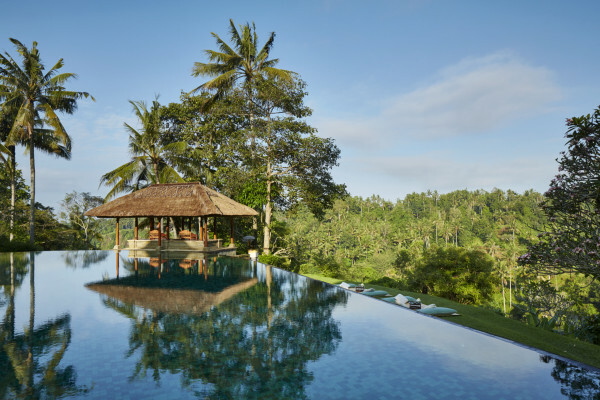 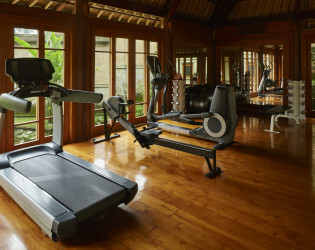 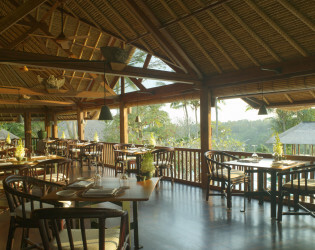 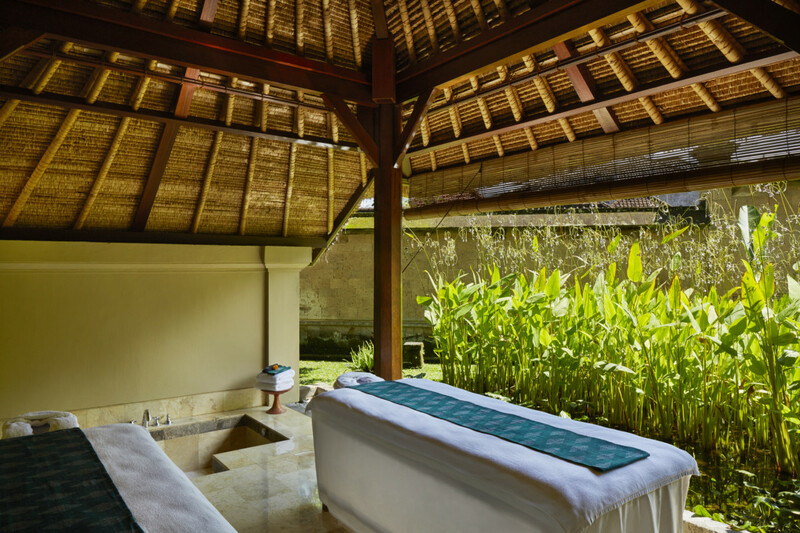 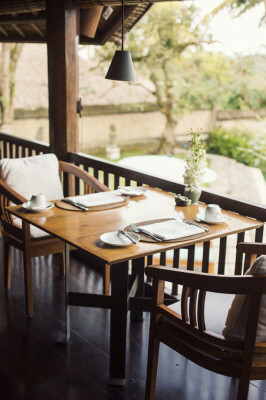 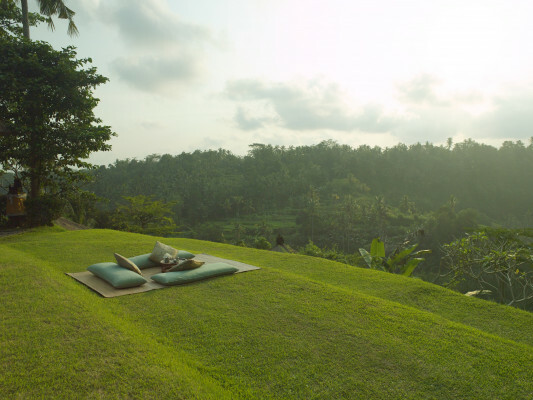 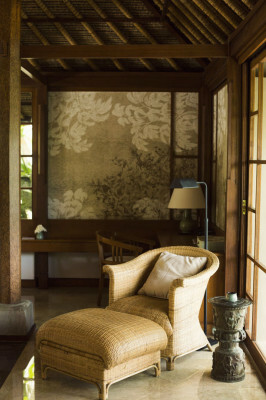 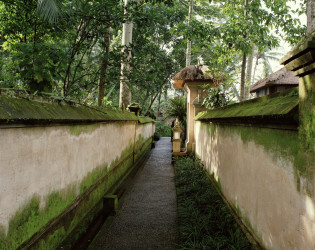 Inspired by a traditional village, Amandari is framed by jungle and rice terraces in Bali’s cultural heartland. Alang-alang-thatched houses – some with pools, all with private tropical gardens – cosset guests under bamboo ceilings, their suites elegantly decorated with teak and coconut-wood. 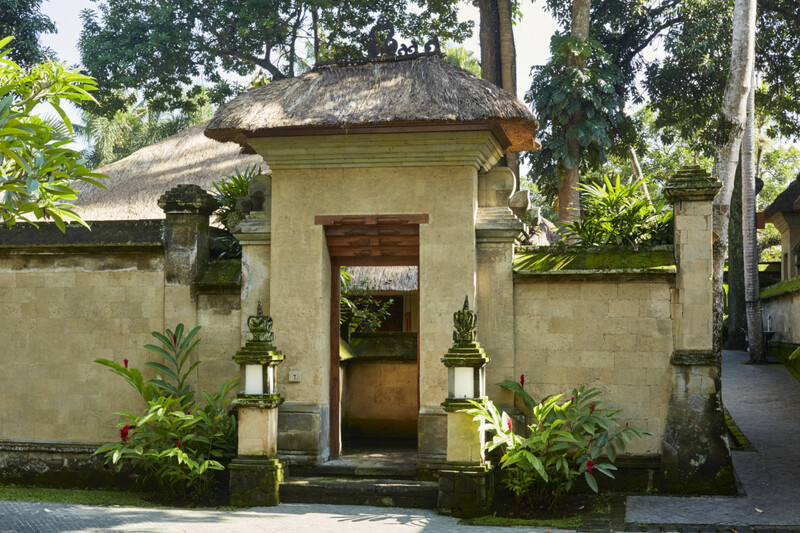 The grounds are both sacred and essential to local families: children attend dance classes here, and religious processions pass through regularly, leading down the steps that spill below Amandari to a 7th-century stone tiger – a motif repeated throughout the property. 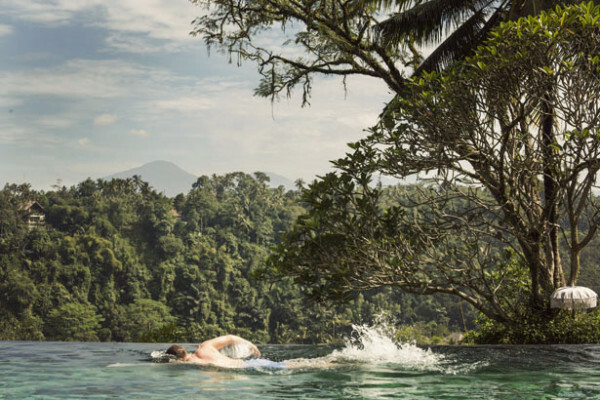 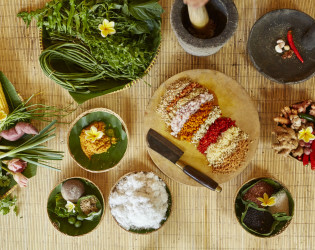 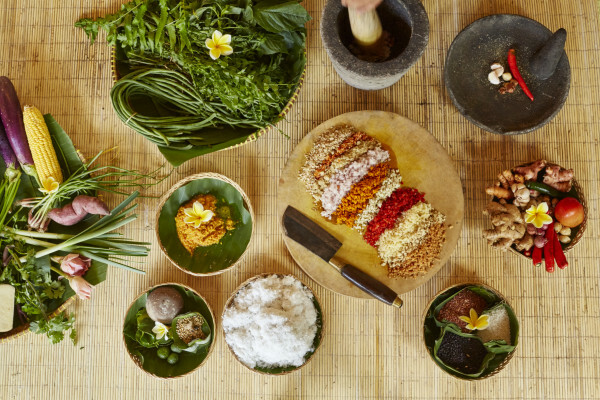 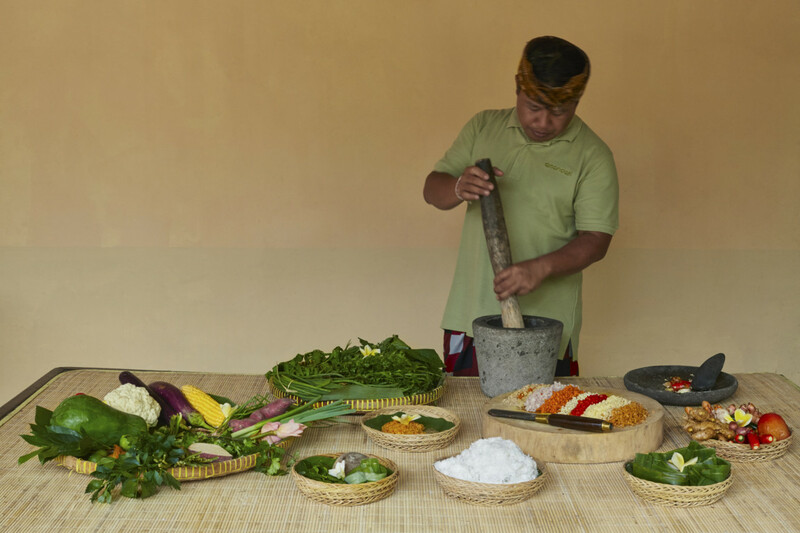 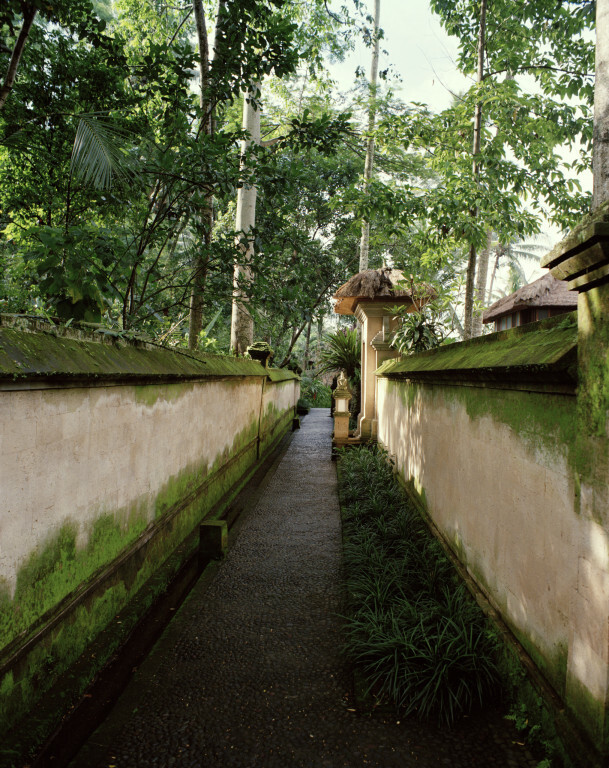 Follow the road out of the village to hike or bike the emerald-green landscape; or head further afield for artisan villages, hidden temples, and the palaces and boutiques of Ubud. 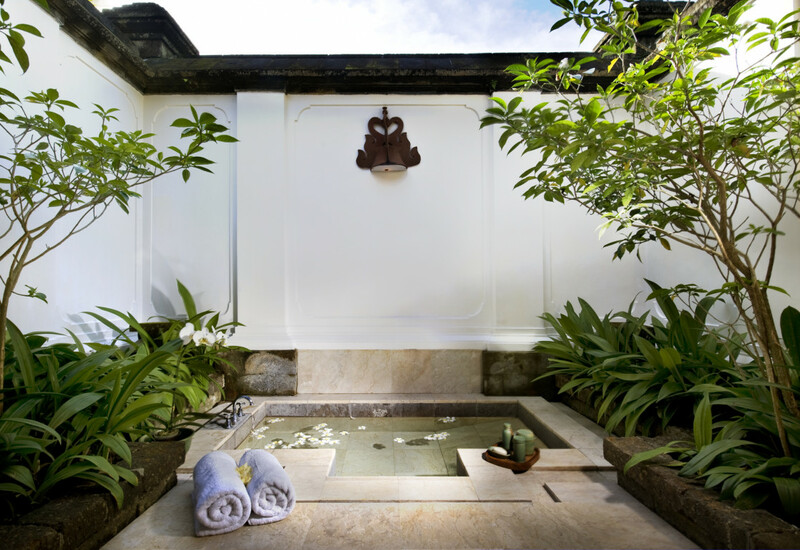 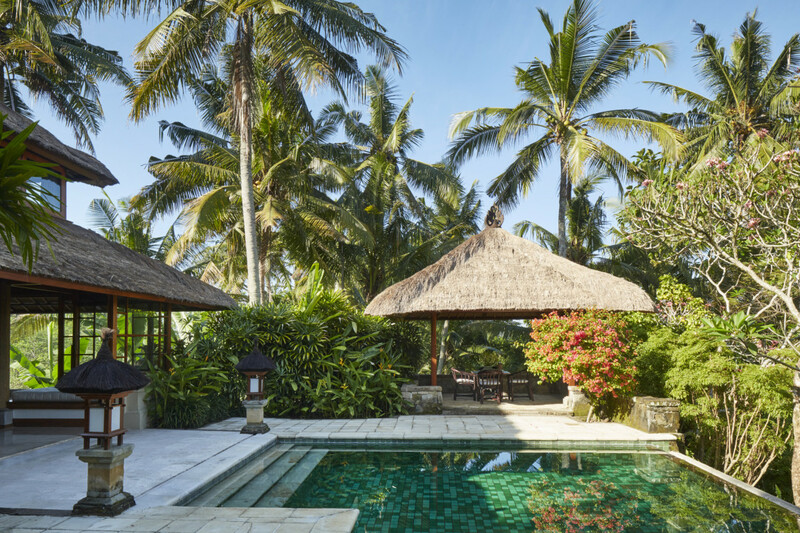 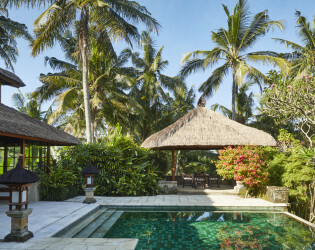 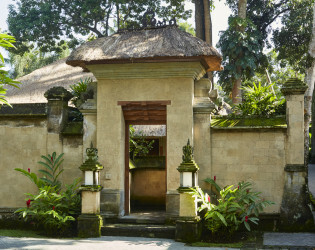 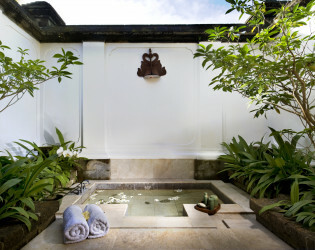 Surrounded by traditional paras-stone walls, each of the freestanding suites is accessed by a traditional Balinese stone gateway, leading to private courtyard gardens and sumptuous interiors. 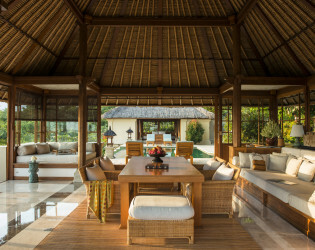 Amandari has 31 guest suites. 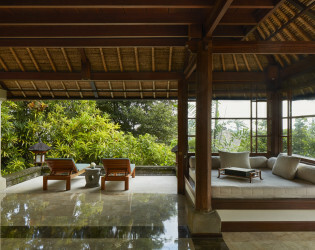 The suites are situated on opposite sides of the lobby and public areas. Twenty one suites on the “rice terrace” side and nine suites on the river gorge side offering a total of nine Village Suites (located next to the village), ten Valley Suites (with views of the gorge or rice-fields), eight Pool Suites, the Asmara and Ayung Suites and the Amandari Suite with its own private pool and separate living room pavilion. 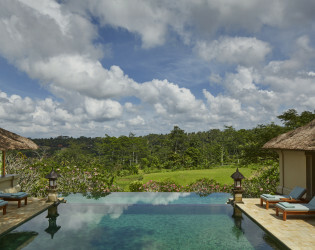 The theme suites are titled such due to their location/vistas and extensive outdoor pool areas. 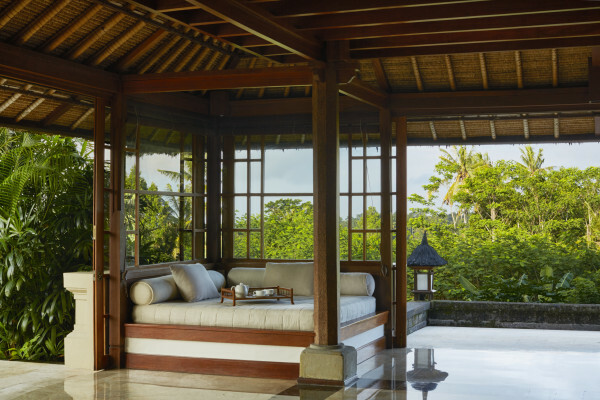 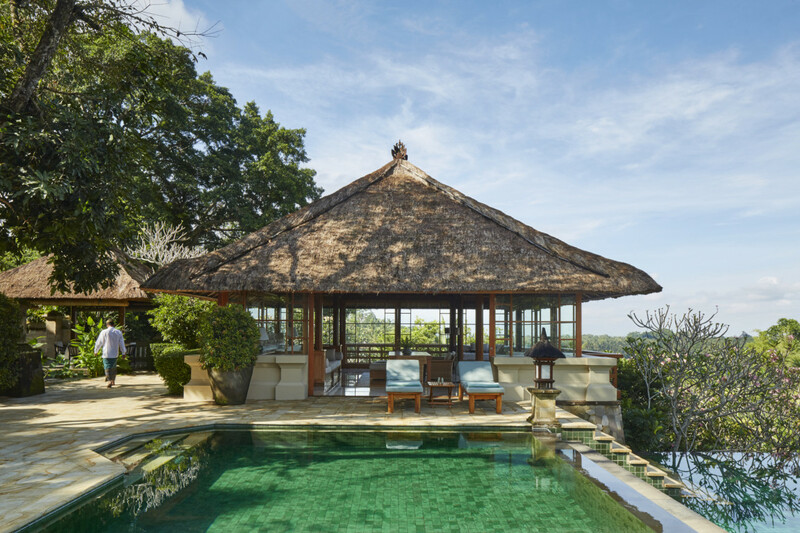 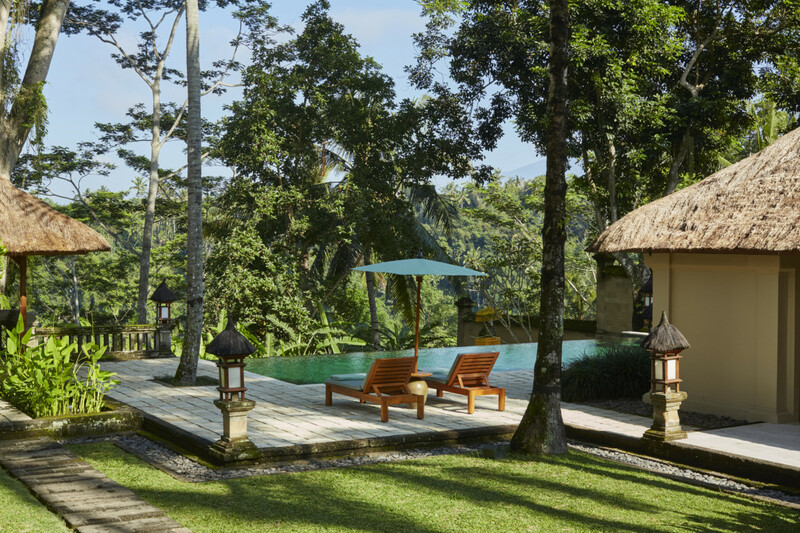 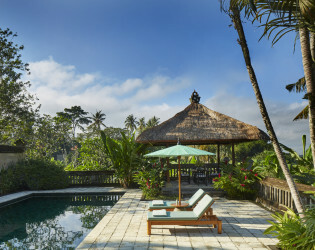 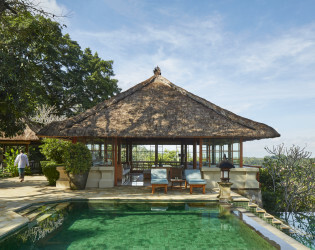 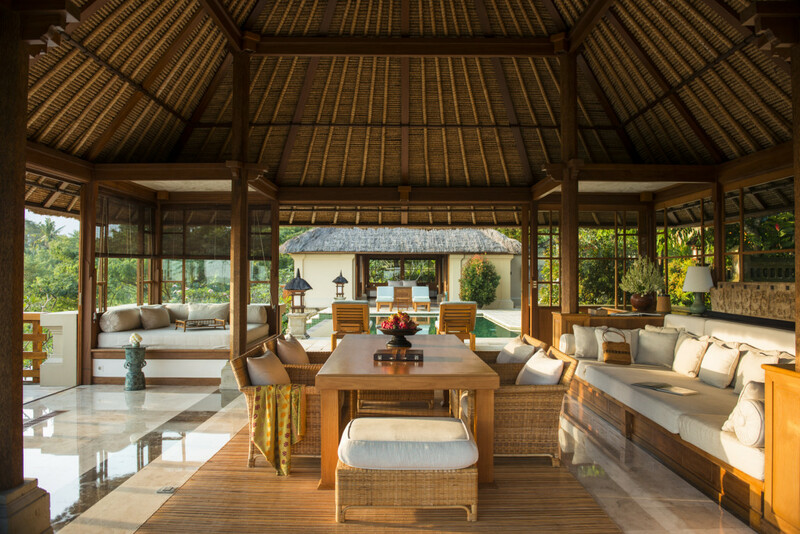 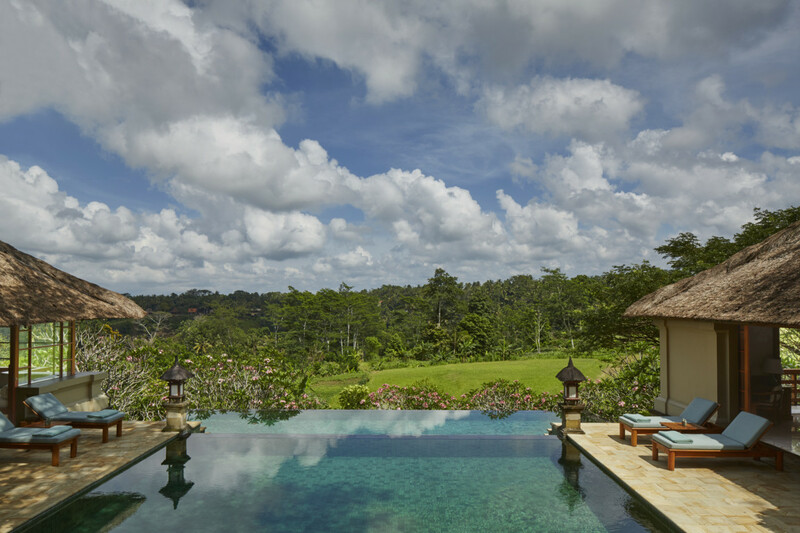 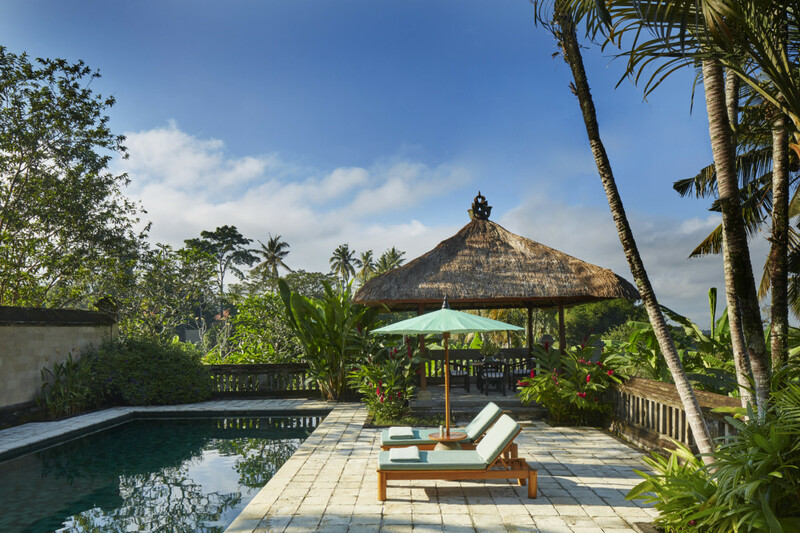 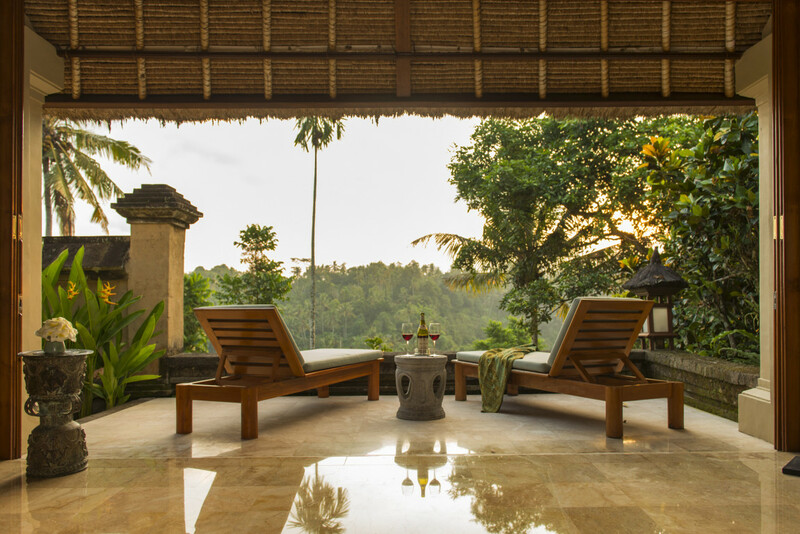 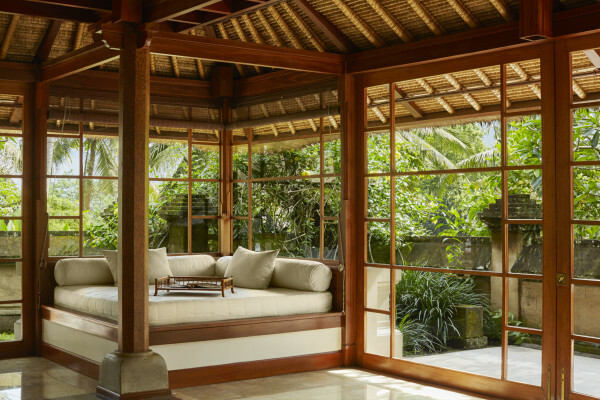 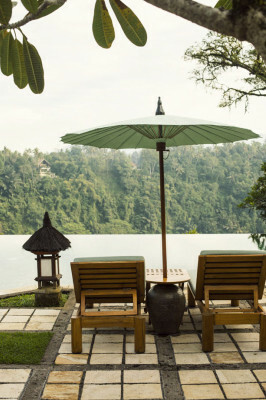 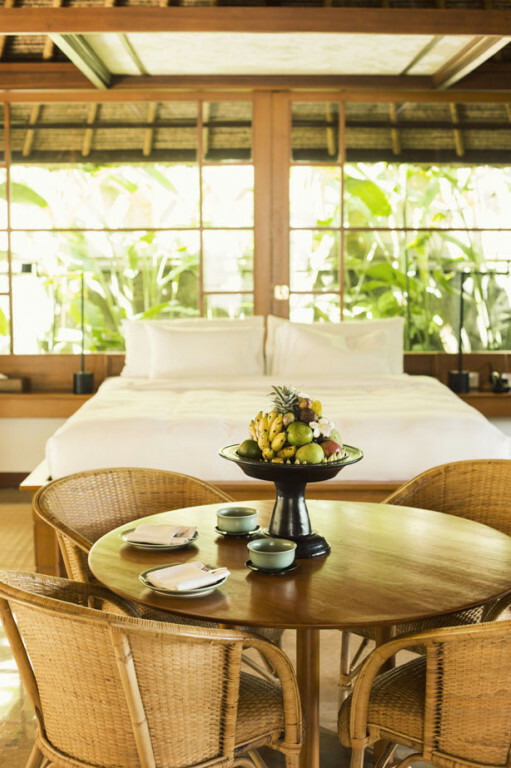 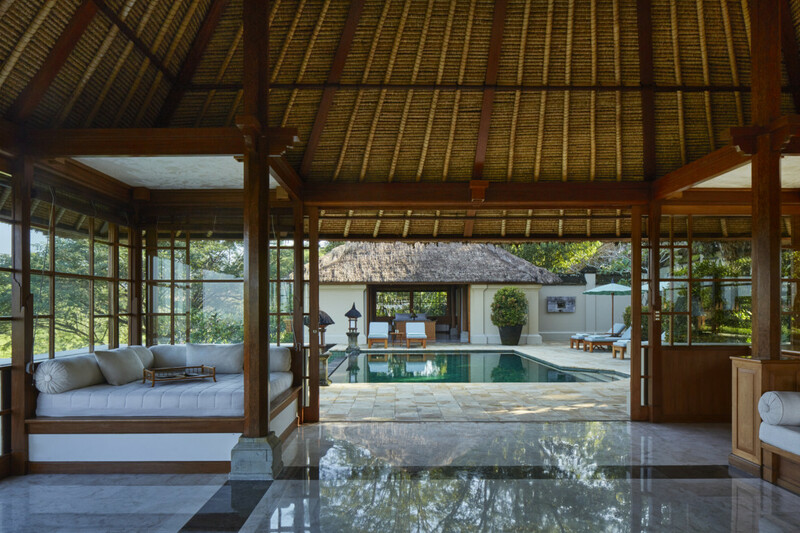 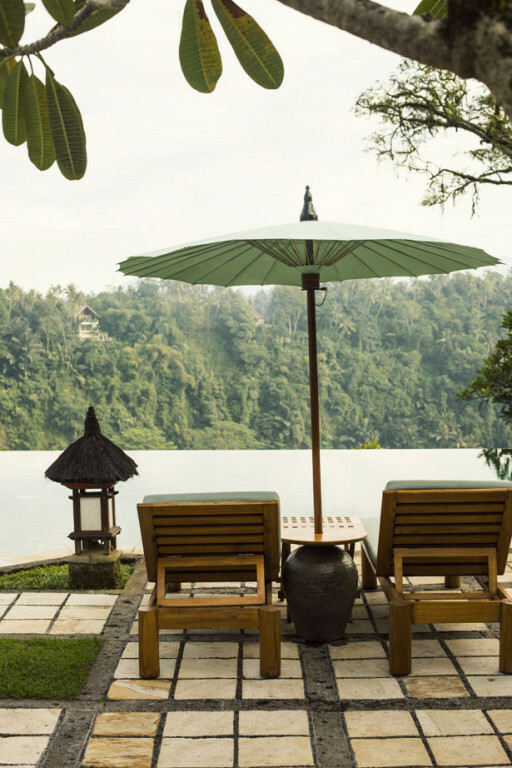 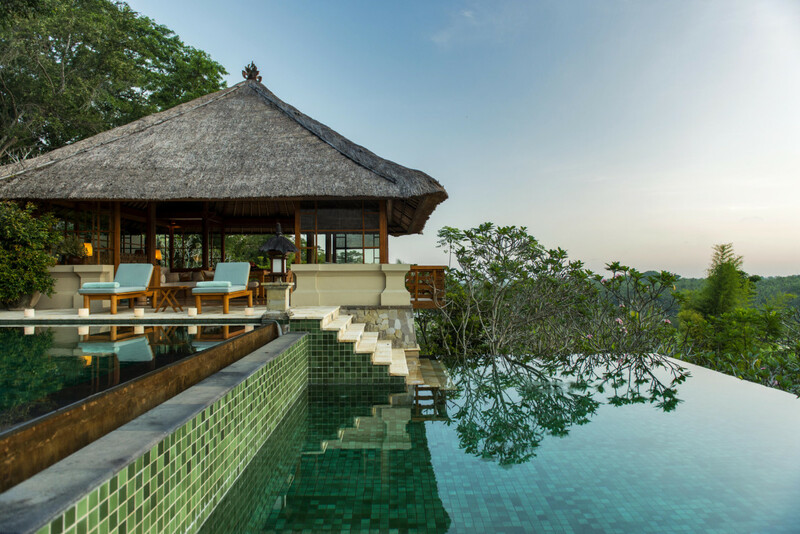 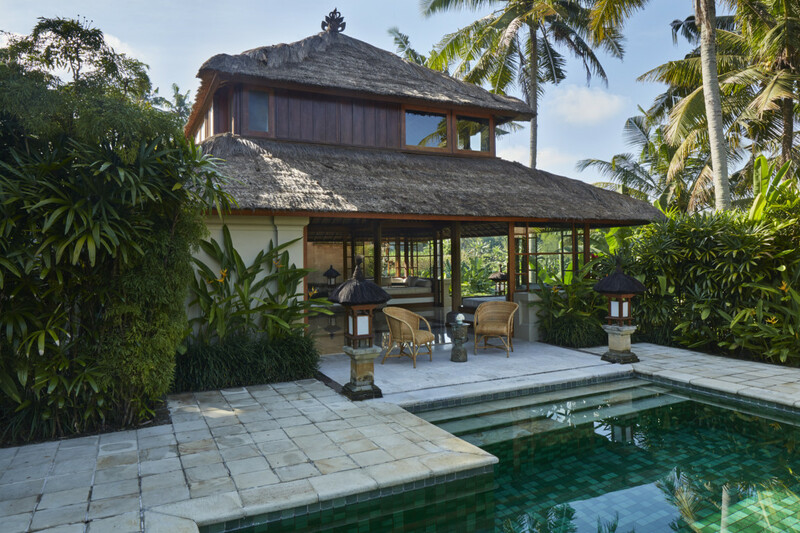 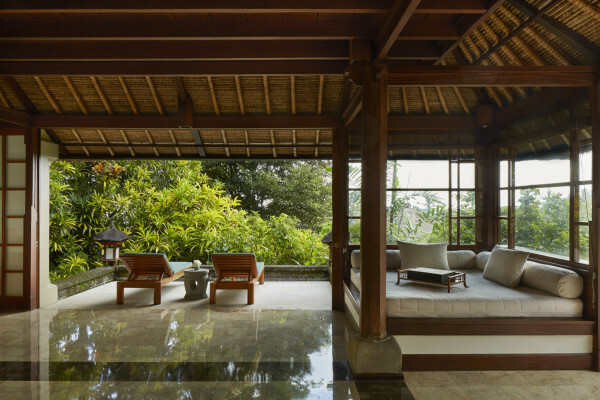 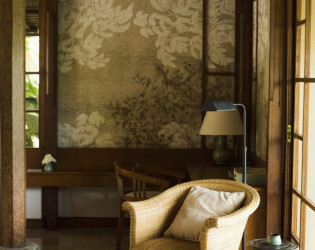 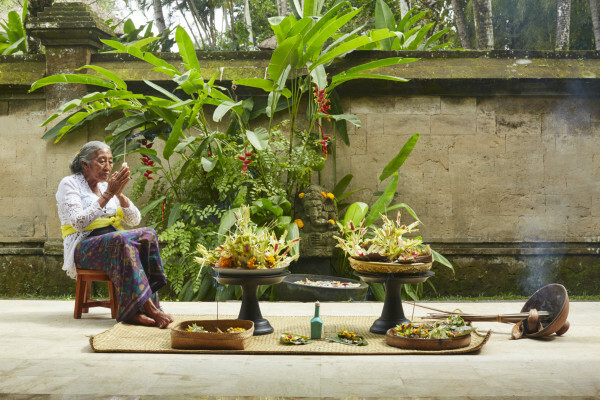 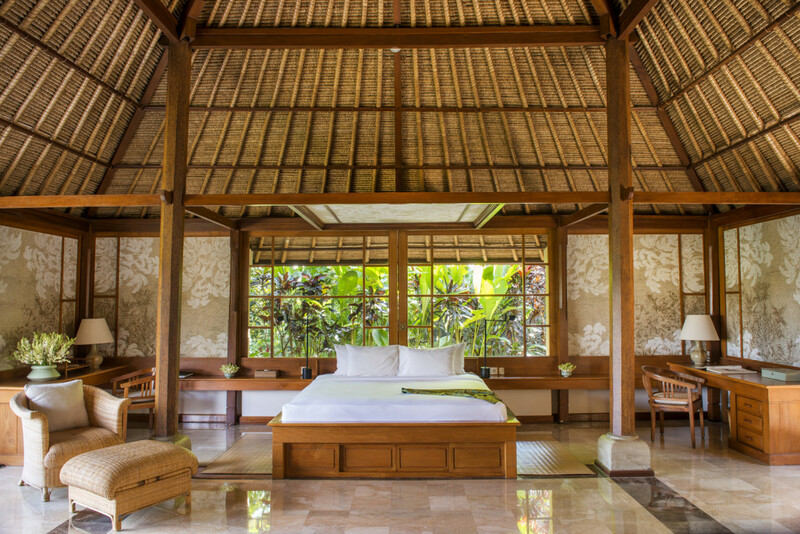 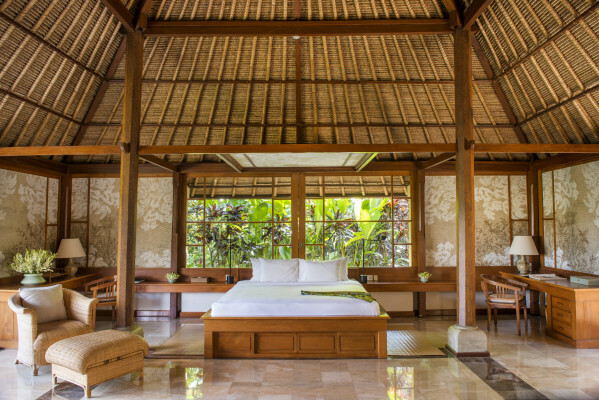 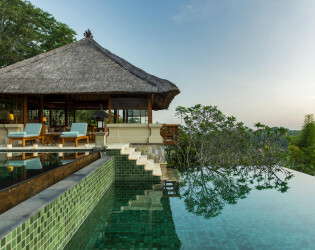 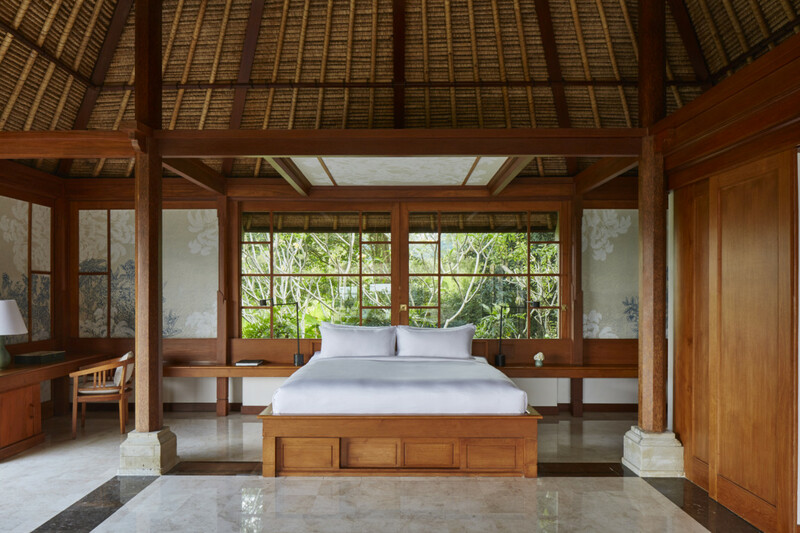 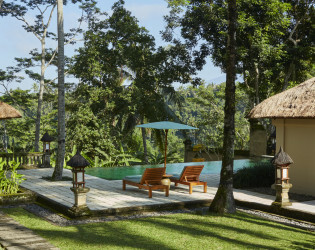 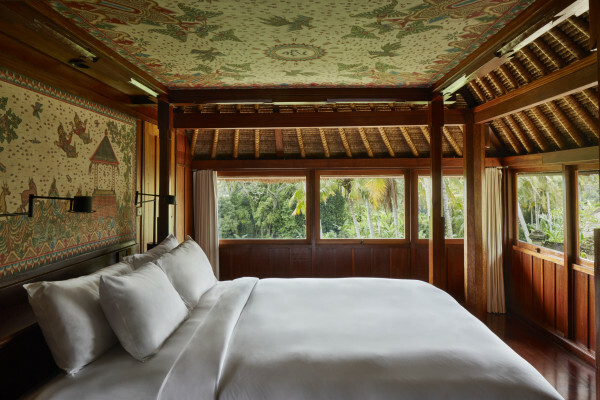 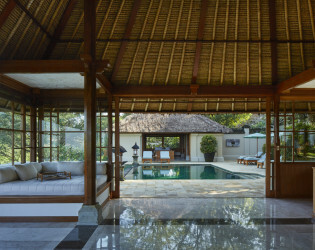 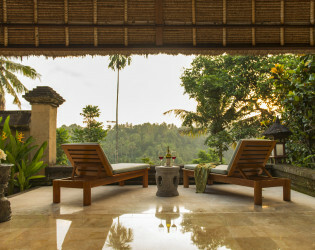 The Amandari Suite can be expanded to a two-bedroom suite through the utilization of an exterior Balinese door connected to an adjacent Valley Suite. All suites are individually walled off to offer privacy and are designed with an air of understated elegance. 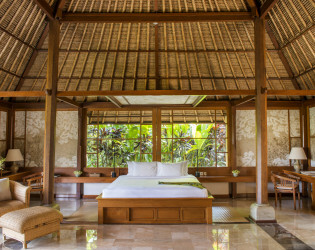 The suites are either single-story suites with a king bed and high ceilings or a double-story suite with a queen bed upstairs and two large lounging beds downstairs. 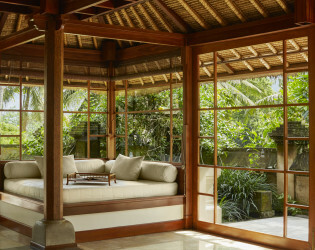 All suites have large sliding glass doors which when fully opened offer a unique open-air atmosphere to the suite.